Hi, I'm an experienced piano teacher who is eager to pass on my passion for music. I am friendly, enthusiastic and always encouraging. I teach the piano from my home in Parkstone. As a fully qualified Primary School Teacher with over 20 years experience I specialise in teaching beginners and younger children. I am fully DBS checked (update scheme registered). Individual piano lessons from beginners upwards. Teaching whole class music from Nursery up to Year 6. Worked for over 20 years as a Primary School Teacher. The primary goal of my piano teaching is to make the study of piano and playing music engaging, fulfilling and fun. LauraFrom Viktoria (5/5): Very lively and motivating teacher. I’m very pleased so far and could only recommend her. LauraFrom Bingnan (4/5): She’s lovely. My daughter likes her. So we decided stick with her. 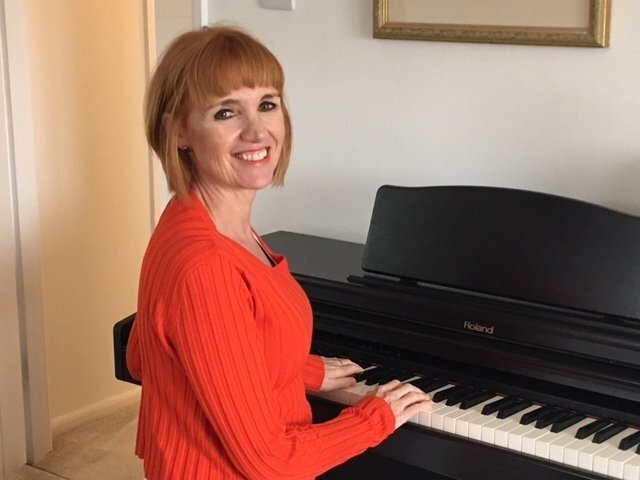 LauraFrom Emma (5/5): I am loving my piano lessons with Laura, I am an adult beginner and she is very patient, friendly and professional, I would definitely recommend her.